The Rebel Sweetheart. : Sneak Peek | Laneige Summer 2016 Collection. Gone are the gusty winds and sunny days of spring as Korea welcomes the hot and humid weather coupled with monsoon rains. Yes, it's already summer in the Land of the Morning Calm - although this may not mean much for some of us who live in the tropics, where it feels like summer all year round. But for beauty junkies like me, this is great news since the change of season equates to new beauty products. New season = new makeup collection! 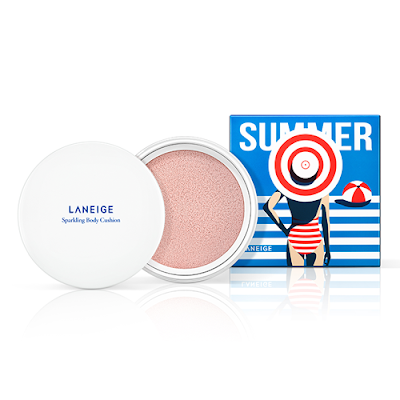 Case in point, Laneige's new releases specially catered to the summer atmosphere. They're already in stores in Korea, too bad they were released two weeks after I came home from my second Seoul Searching trip! 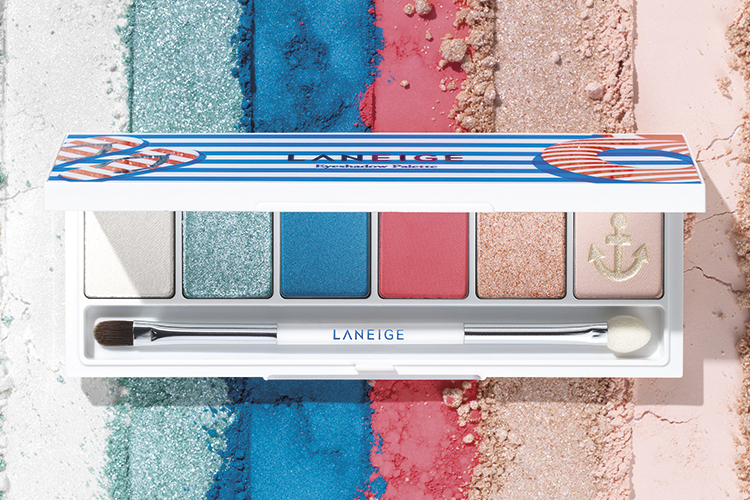 Anyway, here's what you can expect from the Laneige Summer 2016 Collection. 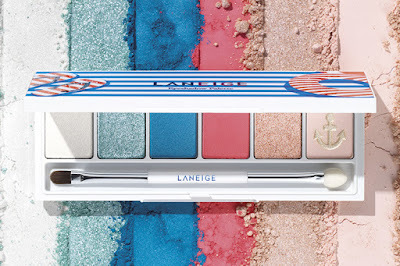 Marine Boy Girl Eyeshadow Palette, 40000 won. The blues, for the Marine Boy look. Singapore Sling Pink (matte vibrant peach pink), Rose Salt Recipe (light rose shimmer pink), and Hanoi Bouquet (matte beige). These superfine, high color eyeshadows are formulated as such so that no sweltering heat can stop you from looking fab while hitting the beach. The pinks, for the Marine Girl look. Oh, and it's nice that they named one of the shades after the Philippines' top tourist destination, Boracay. After all, this island some of the best beaches in the world. 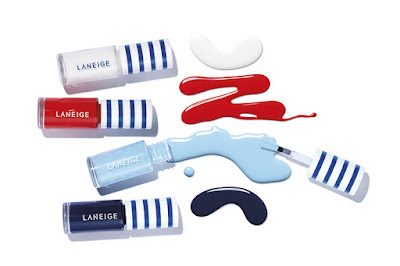 Marine Nail Kit, 18000 won. 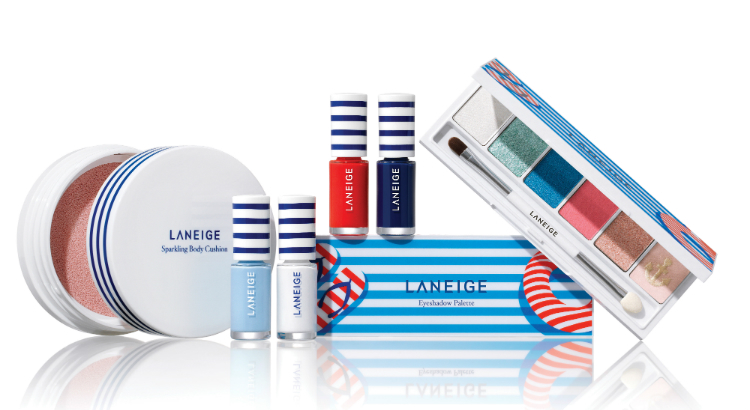 And because no beach look would be complete without pretty, painted fingertips, Laneige's 2016 Summer Collection also includes the Marine Nail Kit. The kit contains nautical-inspired gel nail polish in four vibrant colors: Pure White, Dreaming Red, Sky Blue, and Classic Navy. Along with the adorable nail palette the nail kit comes with easy-to-use stencil and decorative stickers. 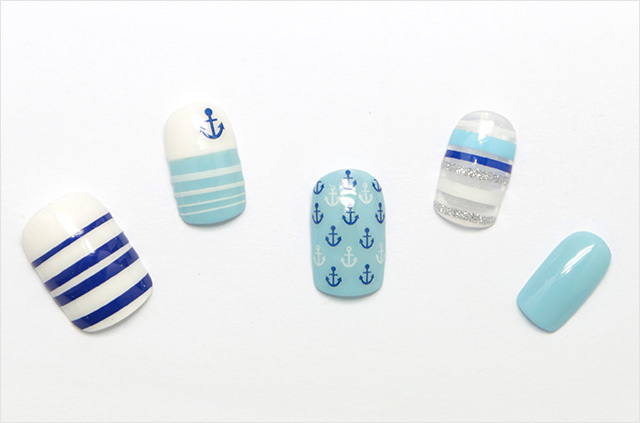 Dressing up your nails has never been this fun and easy! And with the variety of stickers and stencil shapes, you can come up with different designs for each of your nails. The possibilities are endless! 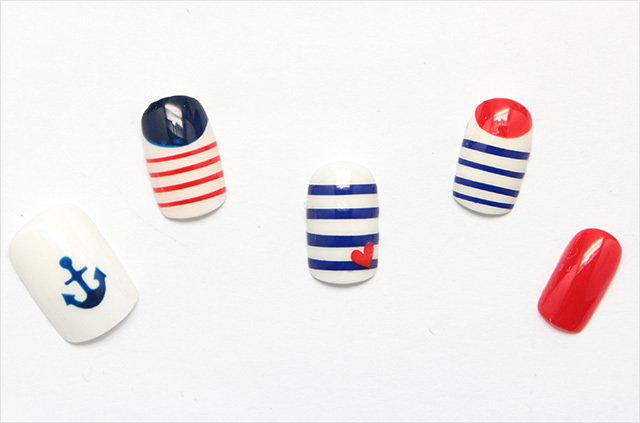 Dress up your nails in different ways! And finally, here's something new from the brand that makes one of the most awesome BB Cushions in the market today - the Sparkling Body Cushion! Sparkling Body Cushion, 37000 won. The first of its kind, the Sparkling Body Cushion is a multi-tasking body product that works as a body highlighter and moisturizer. It contains Rose Gold Pearl to make your body 'slim' and glowing with its contoured highlighting effect. It's also formulated with aloe and sparkling water to provide moisture and keep your skin from looking dull and dry. With its moisturizing and cooling effects on the skin, plus the sparkly pigments in the formula to make your skin radiant, this body cushion is definitely a refreshing new addition to your beach/skincare essentials. I don't know this brand at all. But I love the packaging and the colors look so cool and summery. Thanks for bringing this to our attention. I really like the eyeshadow palette and the nail polish colors! It's perfect for the summer. The overall design is very adorable too! Laneige Summer 2016 Collection is a blessing for me. I really want to have it. 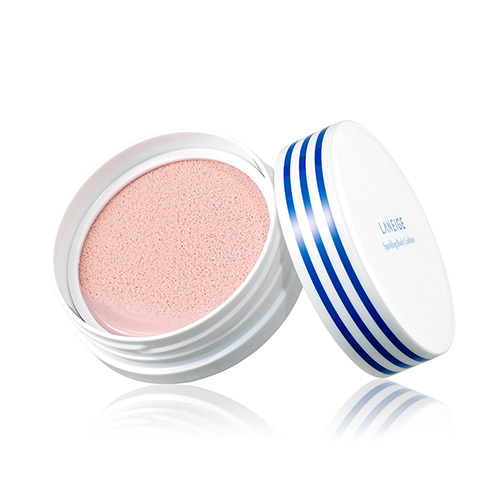 My bug sister keeps telling me about Laneige and how she benefit from its great products. I can't wait to try Laneige summer collection. Laneige is a pretty new brand for me, but these products sounds quiet amazing & the summer 2016 collection would be so great to try out. I would love that Nail kit & that beautiful Eyeshadow Palette as well.